How do we benefit from transformation? Transformation can best be described as a dramatic change in form or appearance. It was absolutely an empowering moment of transformation when my son, Busy, donned the all-powerful t-shirt and mask of his kindred spirit. Embracing the power of StormSurge, one of the HeroBoys charged with the protecting our Earth and stopping those who would do it harm." 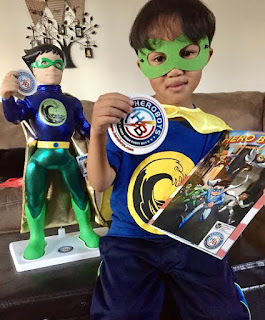 Creators and husband and wife duo, Ed and Crissi Courtney Boland certainly got it right with HeroBoys, is recognizing, "There is a hero inside every boy." 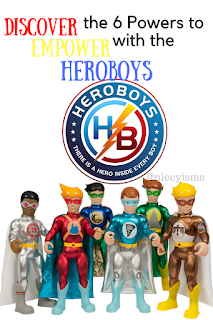 As a HeroBoys Brand Ambassador, I have been sponsored by the HeroBoys Team with promotional items and informational resources to facilitate this advertorial content. New on the scene, HeroBoys is the brand new Series 1 collection of superhero characters empowering boys especially between 3-10 years of age. The HeroBoys creators are parents of two growing boys and invented the product line delivering empowering messages, informative educational content, in an entertaining superhero world. Each of the HeroBoys characters contributes a unique talent essence to strengthen the team. 6 Heroes, 6 powers, 6 personalities– One Team! HeroBoys Blazer, Gusto, Rocko, StormSurge, Techno, and ThunderHawk, unite as a team, learning to work together combining their strengths and talents, which all of us possess, to help make a difference in the world around us. Meet Rocko - "Rocky Rogers was shy and nervous, and never wanted to speak or look people in the eye, but now Rocko is showing Citytown that is OK to be quiet—but that sometimes you have to speak out for the right things." Meet Gusto - "The Gentleman knew Gus was special because he saw Gus cared about people and wanted people to get along and work together, so he gave Gus the essence stone of Wind—making him the leader of the HeroBoys." Meet Techno - "Tyler Thomas’s physical challenges made him feel alone and different, but the Gentleman allowed him to see the power of his brain, making him the the HeroBoys’ builder and engineer." Meet ThunderHawk - "After the Gentleman gave Eddie Edison the essence of animal, he demonstrates that we must treat other animals with respect and live in harmony with them." Meet StormSurge - "Wang Wei had trouble making friends in his new school, but in his time alone he recognized the importance of nature. 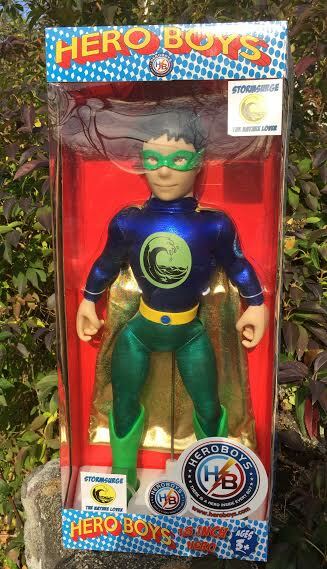 Now he shows other kids that real heroes fight to protect our environment and save our natural resources." Meet Blazer - "Benny Barrios could have been an angry boy, but now with the help of the Gentleman, he directs that passion towards doing good and helping others." Brought to us from the creative team of Whimzy Entertainment, HeroBoys is a line of toys, comic books and apparel designed "for young boys about young boys." 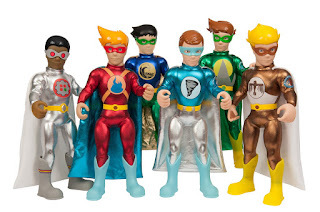 The HeroBoys line features six 18" plush and plastic action figures, monthly comic book subscriptions, and HeroBoys apparel including coordinated capes, masks and t-­shirts. 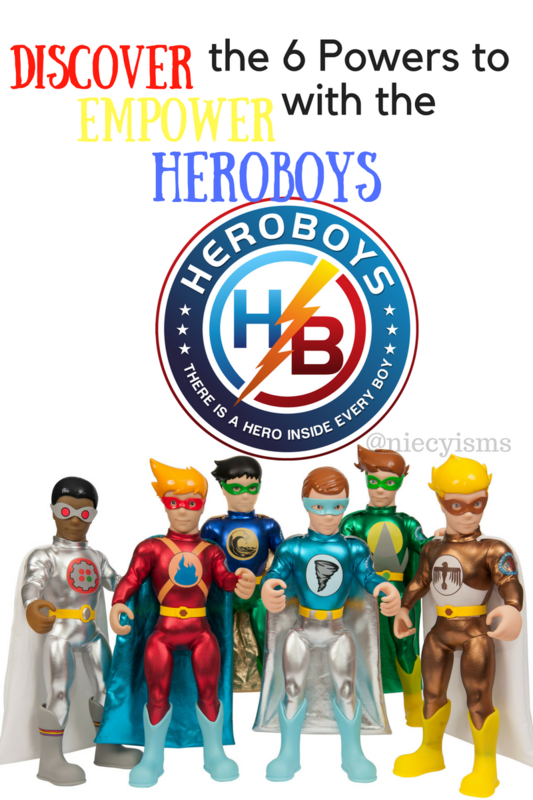 Our exclusive HeroBoys discount code HBBA2012 is valid for saving $5.00 off of your total purchase at HeroBoys.com and Amazon.com. Share this special offer with family and friends, and let us know about your favorite HeroBoys on Amazon.